Today we're bringing you a classic Dyptique fragrance created in 1983. 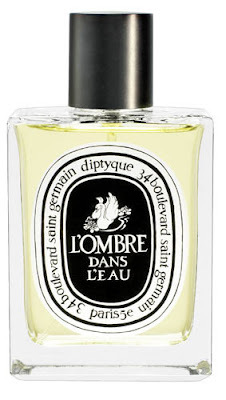 L´Ombre dans L´Eau, created by Serge Kalouguine, has hints of blackcurrant and Bulgarian rose that evoke masculine notes from a garden. We love the green notes, and the tranquility that inspired the scent. While blackcurrant dominates, the fragrance also has notes remiscent of damp ground after a night of rain.